From October 2011 will be available in major music stores and e-commerce sites the new album by Takahiro Yoshikawa. Limen music & arts proposes to the audience a new production (CD+DVD), entirely dedicated to a great fascinating theme, the night, reading it in a new, and deeply original key. 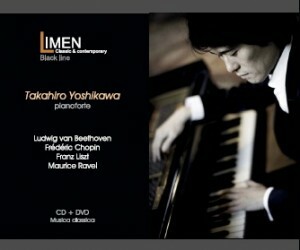 In this album, the talented Japanese pianist Takahiro Yoshikawa, will perform compositions by L. van Beethoven, F. Chopin, F. Liszt and M. Ravel, all characterized by fairly “black” and unusual key, in which the fingers more often caress the keyboard rather than strike it. Takahiro Yoshikawa, thanks to his solid and reliable, but also intense execution, will take us into a suggestive journey to the discover of the atmosphere of the night. This Opus was the first piano sonata written by the German composer in 1795. This work was dedicated to his predecessor Joseph Haydn, who has strongly influenced the early period of Beethoven’s career. Born in Nishinomiya, Japan, and graduated at the Tokyo National University of Fine Arts and Music, Takahiro Yoshikawa has been living for a few years in Italy, where he made himself well known, as a winner of many international competitions, playing in the most important halls (included the Teatro alla Scala in Milan), as a soloist and with high-level chamber groups. Takahiro Yoshikawa has also a full recording activity; he is regularly featured on Limenmusic’s Web Tv, gaining strong approval by national and international audience alike. Moreover, his videos are among the most popular on our YouTube channel. In this concert, the Japanese pianist Takahiro Yoshikawa proposes to Limenmusic’s audience two wonderful pieces. The first, Trois mouvements de Petrouchka, is an arrangement for piano from the ballet Petrouchka, written by Igor Stravinsky for his friend, pianist Arthur Rubinstein, and dedicated to him. After finished the musics for the ballet The Firebird, Stravinsky had already in mind a new picture: a “conflict” between a puppet and the orchestra, till the collapse of the puppet. Then he decided to call him Petrouchka, like a Russian traditional puppet made of straw and with a bag of sawdust as body, but who comes to life and starts to develop emotions. Serge Diaghilev, founder of Ballets Russes, recognised the possibility of developing this opus into a stage work, thus the Petrouchka became a ballet performed for the first time a Paris in 1911 at Théâtre du Châtelet. Ten years later, Stravinsky composed Trois mouvements de Petrouchka for the solo piano, for his friend Arthur Rubinstein, with the aim of compose a score which would be essentially pianistic even though its musical material was drawn directly from the ballet. The other piece, Pavane pour une infante défunte, is a solo piano work composed by Maurice Ravel in 1899, during his studies at the Conservatoire de Paris, under the guidance of the French composer Gabriel Fauré, and dedicated to his parton, the Princesse the Polignac. This is an evocation of a pavane, a slow processional dance widespread in Europe in 16th century, that a little princess might have danced at the Spanish court. 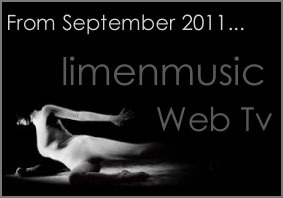 Here we are…Limenmusic restarts in September with new concerts, specials, interviews with leading musicians of national and international scene, new releases…and so much more. In this concert the young and talented Japanese pianist Takahiro Yoshikawa will perform L. van Beethoven’s Piano Sonata n. 1 in F minor. Alfonso Alberti, appreciated Italian pianist and musicologist, will propose to the audience a concert on musics by: Luca Francesconi (1956), Flavio Emilio Scogna (1969), Paul Méfano (1937). Furthermore, he will perform aworld première: Giostre di cristallo, written in 2000/2001 by Stefano Bulfon. Limenmusic proposes another kind of music, other than classical and contemporary one, the Andean – Peruvian music. In this concert the Japanese guitarist Shin Sasakubo will introduce the audience to the discover of the Andean world and its people, with some of its traditional musics. 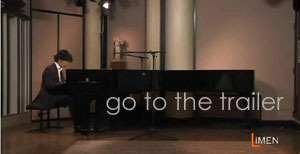 Beethoven’s Piano Sonatas coming soon on Limenmusic Web Tv!! In this concert, Takahiro Yoshikawa will performs two Beethoven piano Sonatas. Piano Sonata n. 1 in F minor is the first piano sonata written by the German composer in 1795. This work was dedicated to his predecessor Joseph Haydn, who has strongly influenced the early period of Beethoven’s career. The Piano Sonata in A major Op. 2 n. 2 was also dedicated to the Austrian composer, considered one of the most prolific and prominent composers of the Classical period. 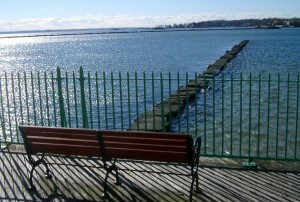 John Milton Cage (1912 – 1992), was an American composer, whose works have influenced contemporary music. In this concert Adriano Ambrosini, renowned and appreciated Italian pianist, proposes one of the Cage’s finest achievement: Sonatas and Interludes, composed in 1946 – 1948, shortly after Cage’s introduction to Indian philosophy and the teachings of art historian Ananda K. Coomaraswamy, both of which became major influences on the composer’s later works. A collection of twenty pieces (16 Sonatas and 4 Interludes) characterized by high technical complexity: the structure of each piece is defined by a series of numbers and likewise also the parts of each piece are defined mathematically. The complexity lies also in the preparation of the instrument: 45 notes are prepared by inserting bolt, pieces of rubber, plastic pieces and nuts.